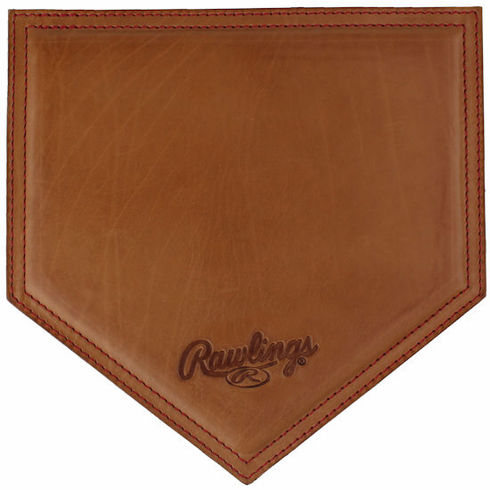 Vintage Tan Leather Baseball Mousepad by Rawlings. Hand rubbed burnished calfskin in soft rich glove tan with red double stitched border. Embossed Rawlings logo. Measures appx. 8" x 8" x .25".